Feebe has released innovative designs that take a sundeck’s crane from unsightly to the centre of attention, for all the right reasons. Superyacht designers have had a longstanding difficulty when it comes to integrating some of the practical but less aesthetically pleasing aspects of their vessels. From life rafts to cranes, the safety of guests and operations on yachts are paramount, but that doesn’t mean that the design has to suffer. At least not any more. Cranes have long been a designer’s bugbear. Integrating them into bulwarks or minimising have been past attempted solutions. Now, Dutch equipment manufacturer Feebe (short for Feenstra Boarding Equipment) has taken a different approach through its latest collaboration with Bernd Weel Design that might take the pain out of the crane. 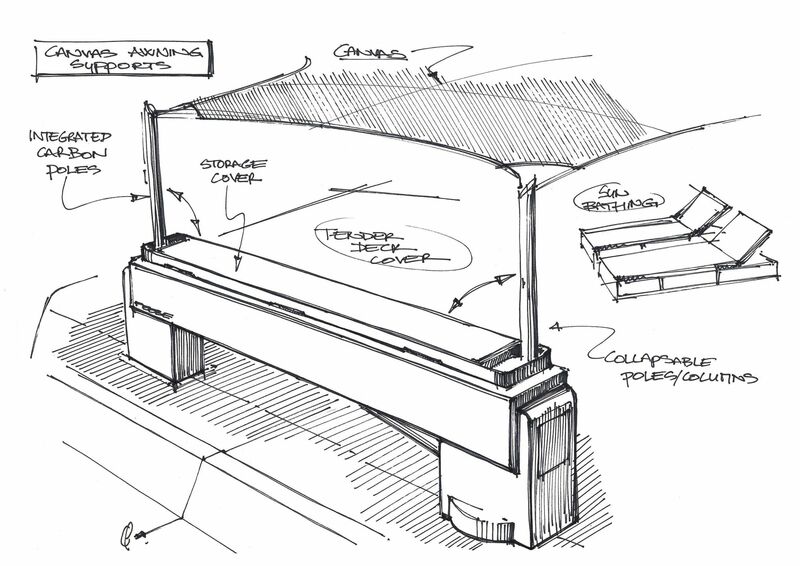 Instead of attempting to conceal the technical equipment, Feebe is making it into a flexible feature, ideal for social uses from a bar to an awning support and, perhaps the most creative solution, a DJ booth. And the company suggests clients challenge them to convert the crane into any other practical function. The crane design will add value to your sundeck when it is not being used as a crane. It will be a practical eye-catcher instead. As shown in the drawings from designer Bernd Weel, the new Feebe crane has a double function as a bar, a DJ booth or a sun screen. But there are lots of other possibilities!” stated Feebe on the release of the crane designs. 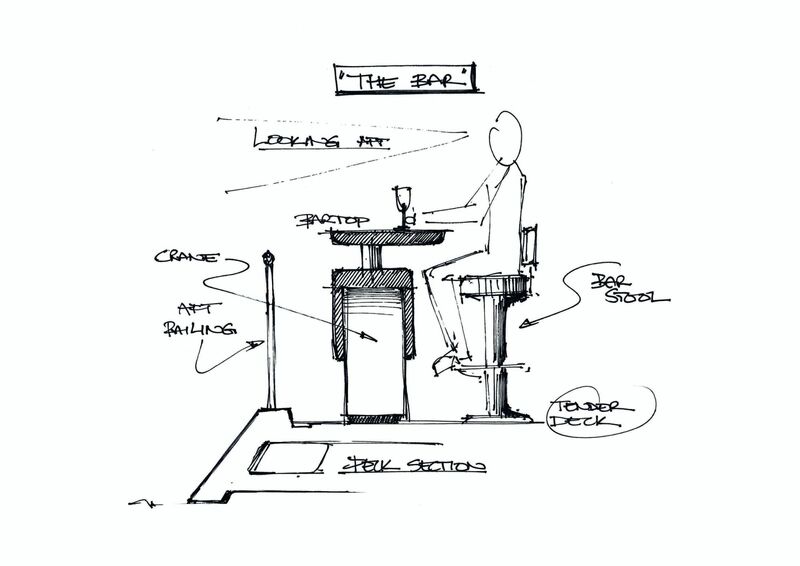 For the convertible bar version, the Feebe crane has a removable bar top and matching, moveable bar stools. Guests will have a great viewpoint looking out across the aft of the yacht, with an elevated and clear line of vision. The awning support version features a storage space for collapsible, integrated carbon poles, providing a cool and attractive space under which guests can recline on sun loungers. When not in use, the poles are fully concealed beneath the storage cover. 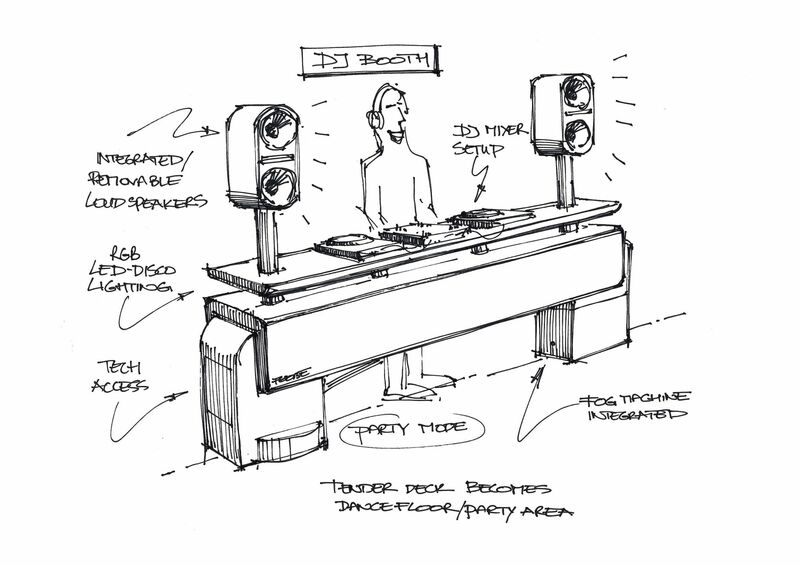 Perhaps the most fun – and ground-breaking – of the Feebe crane options is the DJ booth. In party mode, the LED lights go on, the integrated or removable speakers are turned up and an integrated fog machine gets to work, creating the right atmosphere. Technical access is provided at the side of the crane base, and the DJ’s decks can plug directly into the crane/booth fur a fuss-free set-up. This is a crane that is sure to raise the fun levels on board, no matter which option you choose.